We all have dreams that we are trying to achieve. We have chosen a destination and have plotted a path to get there. This sounds honorable: choose a goal, then diligently work toward it. The only trouble these plans is that they are based on the past. They can't take into account any unexpected opportunities or obstructions that haven't yet happened. Our plans might also disregard another important fact: The goals that we think we want right now may not be what we really need in the long run. You can struggle all your life to become a movie star, but is this really going to make you happy? The goals that we choose for ourselves, more often than not, are a smokescreen for a more basic need. We don't really want to be a movie star; we want respect and self-esteem, and achieving this true goal in private may be a lot easier than trying to make a million people love you. It is good to have goals—a general direction you are moving in. On the other hand, you don't want to be too rigid in your goals or in your plans for getting there, or you may quash any serendipity along the way. If you are open to changing course, than you may encounter unanticipated paths that lead you to better places, faster. If you want to get to the star Alpha Centauri, it is going to take you at least four years travelling in a straight line near the speed of light. 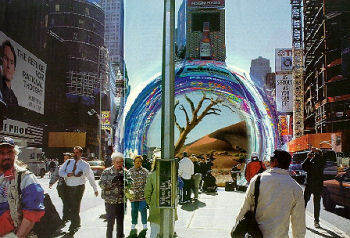 However, if you stumble upon a wormhole, you might get there much faster. 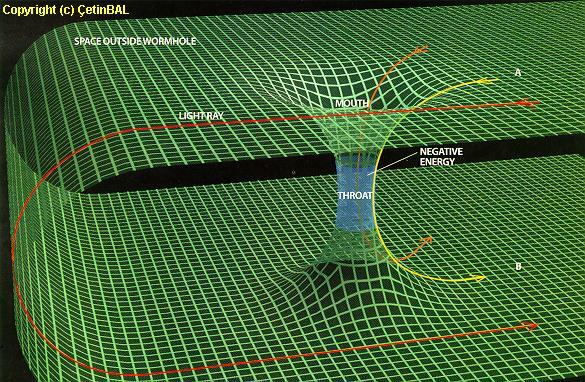 The trouble with wormholes (as we imagine them) is that their appearance can't be predicted. Also, you can't predict a wormhole's destination until it opens up in front of you. One unexpected wormhole might lead you to another star system far from Alpha Centauri. It's not what you expected, but it might serve your true needs better than your original goal. Life is like that: You can plot a dull, straight-line course toward your presumed destination, but then unexpected opportunities open up, and you are either going to use them or not. When you encounter a wormhole, your choice is whether to jump into it, with all it's risks and rewards, or continue along the planned straight line. It makes a difference whether you have already locked-in your navigation system. If you have already expended a huge amount of energy achieving light speed, then you probably won't want to stop for any anomaly you see along the way. In all likelihood, you won't even detect the anomaly. 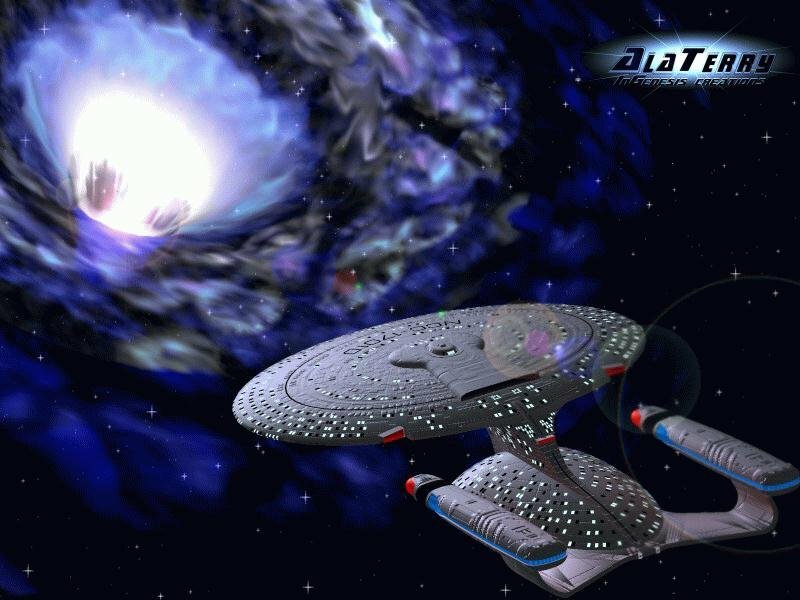 It's a shame: Maybe the wormhole could lead you to someplace even better than where you've charted. Our own best-laid plans tend to be straight-line extrapolations of the past. If certain things once made us happy, then we assume they will always make us happy. This ain't necessarily so, since our nervous system is always evolving and the whole definition of happiness may be subject to change. Once, when we were hungry, poor or lonely, we thought that just having food, money or someone to talk to was all we really needed. As soon as we achieve these basic needs, however, the rules change. If you have enough money, then money isn't as important anymore, and maybe your source of happiness shifts to something else. If a million dollars makes you happy, will two million make you twice as happy? Probably not, but people tend to behave as though this simple calculus were true: These were the goals that were important to me in the past, so they have to make me happy in the future. True happiness is much more fluid. You may have a pretty good idea of what will cause you pain in the future—unemployment, illness, freezing to death in the wilderness—so it is prudent to avoid these things. But as for what will satisfy you once your basic needs are met, that's much more difficult to predict. You may presume that certain goals will give you satisfaction tomorrow, but this is today's you talking, not tomorrow's. Tomorrow could bring a whole new you, who might scoff at the naive plans made today. Think about your own adolescence. You had certain dreams back then that were never fulfilled: rock star, fashion model, mating with the Homecoming Queen, etc. Were they mature and realistic goals? If you had achieved them, would you have been happy? Today's perspective no doubt reveals those plans as quite naive. The worst thing for you in the long run might have been to get exactly what you wished for. Now, think about the opportunities that have arisen in the meantime. Weren't your most rewarding experiences ones that you never really planned? It can be useful to think of your life as something much bigger that you are. From your current perspective on the ground, you can see only a tiny piece of it, and you may not be wise to make extravagant plans based on what little you can now perceive. You should think of life as an epic journey on a series of roads you have never travelled before. When you come around a bend, you may encounter something you never anticipated. It is up to you whether you see this event as a threat or an opportunity. The biggest mistake is to think you have life all worked out beforehand—that you know where the journey will lead. That's when you get yourself trapped into frozen goals and fixed pathways. It is much better to approach your life with humility, as a big adventure you can't fully anticipate. Then you are free to take interesting side roads whenever they appear and perhaps find a shortcut or two. Goals are good, but they should be general ones, not specific. It is wise to understand what your real needs are: not fame or fortune but things that are much more subtle and temporary. A similar topic is covered in the Glossary entry for Reality, Metaphysical Aspects Of.